The investment in insurance capital is the wind vane of institutions and retail investors. The market value of the financial industry is the first for 50 consecutive quarters. 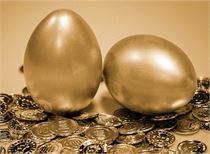 As a representative of long-term funds, the trend of insurance investment has always been the wind vane of institutions and retail investors. 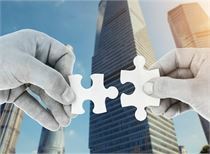 As of yesterday evening, although the China Insurance Regulatory Commission has not disclosed the insurance investment data for the first three quarters of this year, the data disclosed from listed companies can glimpse the industry investment preference of insurance funds in the third quarter of this year. According to the latest research report issued by Southwest Securities, as a whole, insurance institutions continue to maintain a high proportion of positions in the financial industry, maintaining the position of the industry's first market value for 50 consecutive quarters. The market value of real estate positions is maintained for 12 consecutive quarters. 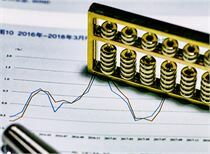 The position of the second place, the market value of mechanical equipment positions has maintained the third place for 13 consecutive quarters. In terms of industry preference, excluding China Life Insurance and Ping An Bank, insurance institutions continued to maintain a high proportion of positions in the financial industry, maintaining the industry's first place in the market for 50 consecutive quarters. The number of stocks held in such industries in the third quarter of 2018 was 20, a decrease of 21 from 21 in the second quarter of 2018. 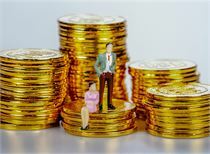 The market value of positions held in the third quarter of 2018 was 348.861 billion yuan, an increase of 29.117 billion yuan from the 196.19 billion yuan in the second quarter of 2018, an increase of 9.12%, indicating signs of increase. From the perspective of specific stocks of insurance companies in the third quarter, one of them (China Ping An was reduced). 12 banks (ICBC, Agricultural Bank were increased, Construction Bank was newly introduced, Shanghai Bank, Minsheng Bank, Shanghai Pudong Development Bank, Huaxia Bank, China Merchants Bank, Hangzhou Bank, Industrial Bank, China Everbright Bank were all flat, Bank of China was reduced) . 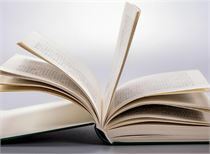 Seven brokers (Shen Wan Hongyuan, CITIC Securities, Guojin Securities, Soochow Securities, China Galaxy, Changjiang Securities were flat, and GF Securities was reduced). Insurance institutions have increased their holdings in the financial industry, and they are bearish on the insurance stocks they hold. They are mostly optimistic about banks and brokerage stocks. The market value of real estate holdings for real estate maintained the second place for 12 consecutive quarters. In the third quarter of 2018, there were 18 stocks held by insurance companies, down by 19 from the second quarter of 2018; the market value of positions held in the third quarter of 2018 was 84.213 billion yuan, compared with 76.791 billion yuan in the second quarter of 2018. 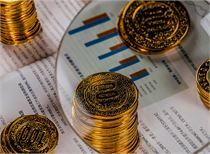 An increase of 7.422 billion yuan, an increase of 9.67%, compared with the cumulative decline in the broader market showed an increase in holdings. Among them, Huaxia Happiness, Suning Global, China Merchants Shekou, and Jindi Group were all increased. COFCO Real Estate was newly introduced. Sunshine City, Xinhu Zhongbao, First Capital, Beijing Investment Development, Suzhou Gaoxin, Huayuan Real Estate, Beichen Industrial In China, 8 of Wuyi were flat, and 5 of Poly Real Estate, New Town Holdings, Beijing Urban Construction, Financial Street and Vanke A were reduced. Insurance institutions have increased their overall holdings in the real estate industry, and most of them are optimistic about their holdings. The market value of insurance equipment for mechanical equipment has maintained its third place for 13 consecutive quarters. Insurance institutions held 56 in the second quarter of 2018, an increase of 1 from 55 in the second quarter of 2018; the market value of positions was 25.592 billion yuan, an increase of 75 million yuan from the 25,017 million yuan in the second quarter of 2018. It is 0.29%. Compared with the cumulative decline in the broader market, there are flat signs. Among these companies, there are 21 electrical machinery (Jinzhi Technology, Boss Electric, Gree Electric, Goldwind Technology, etc., Vantage, Changying Trust, Qitailai, Chunlan, and Cobos are newly entered. Shida, Aoma Electric, Zhiguang Electric, Jinbei Electric, Qinshang, China Power, Jingda, Hangzhou Electric were all flat, Zhengtai Electric, Shenzhen Huicheng, Yingfeng Environment, Changhong Meiling were reduced), transportation equipment There are 21 (Minchen Ecology, Fangda Special Steel, Zongshen Power, Ningbo Huaxiang, Jiaotong Shares, Kaizhong Shares are increased, Desaixiwei is newly entered, Wanxiang Qianchao, AVIC Aircraft, Wan Feng Aowei, Tianrun Crankshaft, Hangxin Technology, Jianghuai Automobile, Lifan Co., Ltd. were held flat, and the shares of Haomei, Xingyu, Yutong Bus, Sany Heavy Industry, Precision Forging Technology, West Pump Co., and Kangli Elevator were reduced.) There are 4 ordinary machinery (Xiangdian shares, Xingyuan environment were increased, Jincai Internet was flat, AVIC Hi-Tech was reduced), and 9 special equipments (Meiya Optoelectronics, Haomai Technology, Xinyan Shares, Radio and TV) Express is being increased, Rongtai Health, Tianshunfeng Can be newly entered, Founder Motor, *ST ship is flat, Yu Yue medical reduction), instrumentation 1 (Intelligent shares are flat). Insurance institutions are generally flat on the machinery industry, and most of the stocks in the sub-sectors are optimistic. 【Raised funds】The decline in net worth is not regrettable. Public and private placements are “infatuated” and are optimistic about pharmaceutical stocks. The market shock is the bottom of the bargain? 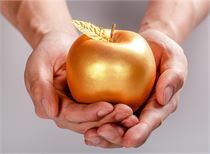 New 243 private equity funds in a week, even Wang Yawei also opened a "new warehouse"
The market rebounded as scheduled but the adjustment is not over. US stocks in the past ten years of bull market achievements to make rich myths This technology giant shares rose 65 times! Which companies were named at the 315 party? Which listed companies' share prices will be affected? Madden! Mercedes-Benz, BMW, and Land Rover all cut prices in China: the highest drop of 80,000! Netizen: I am 1 million poor. The bull market 1.0 has been successfully closed. Do you want to prevent the full warehouse from making money? Li Zhilin’s new hotspots have emerged, and 3000 points are a new starting point. Please verify the authenticity of the net inflow of funds and the net outflow of funds. The original index is turning around in the palm of the Buddha. 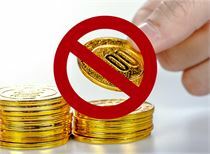 315 sleepless night: a lot of explosive listed companies APP "do not want money"
The Shanghai Stock Exchange held a forum for the establishment of a science and technology board and a pilot registration system for members' preparation work. What kind of economic signals did Li Keqiang release at the press conference? The science and technology board is in full swing. The attitude of many unicorns is still unclear. Authoritative stocks big data is coming! 80% of the account assets are less than 500,000. The profiter will stop loss. Next week, it is the world of this major line of science and technology! Lost 3000 points! Thousands of dollars to reduce the tide, supervision and strict investigation of off-market funds, A shares plunged really exposed! Policy regulation tightening signal reproduction? Is the time for value investing to replace price speculation? [Hong Kong stocks] The vacant tax is coming. The Hong Kong property market has been scared! [futures] Zhao Weis want to "cut the leeks" and try to measure the amount! The dollar suddenly turned around and "dive"